Grandmaster Pedro Vangas is the President of The Panamerican Bi Sang Kwan Tang Soo Do Association and possess a trajectory without equal in the martial art style of Tang Soo Do. In the Caribbean, Central and South America. Caribe, Centro America y Sur America. 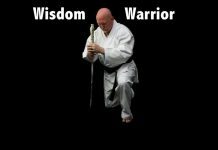 Pedro Vangas began his training in the martial arts in 1962 while he was assigned as a military policeman at a missile site located at a mountain on the outskirt of a city named Kimje, Republic of South Korea. He trained in the style of Ji Do Kwan Tae Kwon Do and earned his 1st Dan Black Belt from his instructor Grandmaster Jung Ho Yung with certificate number #3225 when he completed his 13 month tour in Korea. Pedro Vangas had to train twice a day, seven days a week in order to fill the requisites for Black Belt in so a short time. In 1966 Pedro Vangas returned voluntarily to Korea with the intentions of obtaining a promotion to 2nd Dan and an Instructor certificate of Ji Do Kwan Tae Kwon Do. After obtaining his promotion to 2nd Dan and his certification as an instructor Pedro Vangas became committed to taking and expanding the Korean martial Art anywhere he would be stationed and this is something he accomplished during his military career. Among the countries he visited and opened Tang Soo Do schools include Costa Rica, Chile, Colombia, Panama, Puerto Rico, South Vietnam, Aruba, Curazao, Germany and the United States. Additionally he has travel to Belgium, Spain and Argentina in Tang Soo Do (Soo Bahk Do) activities and participated in the 60th Anniversary of Moo Duk Kwan in the city of Sokcho, South Korea. In 1971, while stationed in The Canal Zone, Republic of Panama Pedro Vangas met Kyo Sa Nim Prospero Ellis, 3er Dan, Dan Bon #12949 a practitioner of Moo Duk Kwan Tang Soo Do and who was the person responsible for Pedro Vangas leaving Ji Do Kwan Tae Kwon Do and to joining The Korean Tang Soo Do Moo Duk Kwan Association. Grandmaster Chun Sik Kim, now President of the International Tang Soo Do Association, at the time was in Panama visiting his student Ellis and tested Grandmaster Pedro Vangas and was certified as a 1st Dan with Dan Bon #15552 in the 47th Classing Championship of Moo Duk Kwan granted by Grandmaster Hwang Kee founder of Moo Duk Kwan Tang Soo Do. From 1971 to 1972 Pedro Vangas was assigned to Military Assistance Command Vietnam under MACV Team #72 where he rendered his service as a combat hand to hand instructor to US military personnel and to the Vietnamese special Forces. In 1974 Pedro Vangas is promoted to 2nd Dan in the 53rd Classing Championship of Moo Duk Kwan and was certified as an instructor of Tang Soo Do Moo Duk Kwan, Certificate # 4028 by Grandmaster Hwang Kee. Fort the next 46 years Grandmaster Pedro Vangas has dedicated his life to the development of Moo Duk Kwan Tang Soo Do through Latin America and the United States. In 1990 he founded The Panamerican Moo Duk Kwan Tang Soo Do Association affiliated to The American Moo Duk Kwan Tang Soo Do under Grandmaster Jae Joon Kim, Dan Bon #38. 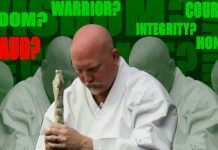 Among his achievement Grandmaster Pedro Vangas was responsible for organizing the first martial art championship of The United States Armed Forces which was held at the Abrams Field House, in Fort Hood, Texas. He organized The First International Latin America martial arts Championship in San Jose, Costa Rica. He was Grand Champion of the East meet West tournament held in Dallas, Texas and sponsored by The United States Karate Association (USKA). He was a founding member and Technical Director of The Canal Zone Karate Association, Republic of Panama. 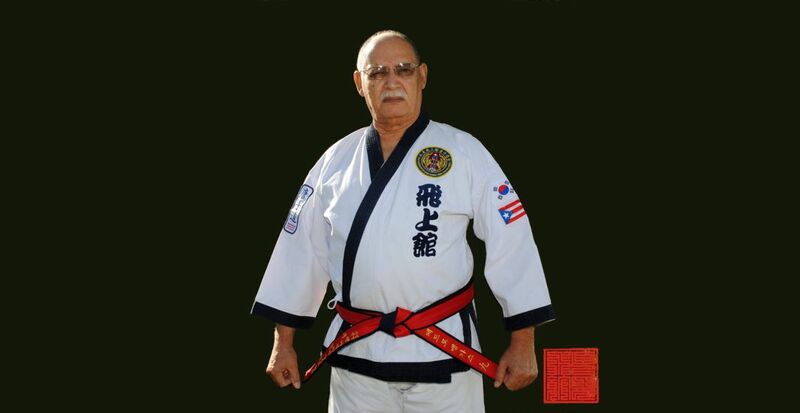 He was Regional Director for Central and South America of The American Moo Duk Kwan Tang Soo Do Association, Founder and President of The Puerto Rico Soo Bahk Do Moo Duk Kwan appointed as Designee and Representative of Puerto Rico and Panama by The World Soo Bahk Do Moo Duk Kwan Association. 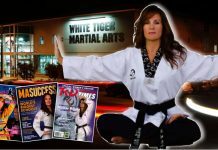 Member of the Board of Director of The International Tang Soo Do Society. Grandmaster Pedro Vangas has been inducted into The Legends of the martial Arts Hall of Fame, The International Tang Soo Do Society Hall of Fame and The First World Tang Soo Do Hall of Fame. Grandmaster Pedro Vangas attended the 1st World Tang Soo Do Seoul Forum in Seoul Korea 2012. Grandmaster Pedro Vangas holds a Master Degree in Criminology and Police Administration from The American Technological University now renamed Texas A&M University Central Texas. Three of his four sons are Tang Soo Do Dan members SaBom Nim Pablo Vangas, Dan Bon #31627, 7th Dan, SaBom Nim Jose Vangas, Dan Bon #34121, 5th Dan y el Chodan (1st Dan) Pedro J. Vangas III, Dan Bon #PA-01049.